Adam Roscoe, ‘CrisisManagement’ senior consultant, is managing director of ESG Consulting, which specializes in working with national and international clients on environmental, social and governance issues and opportunities, communications and stakeholder engagement. He is a corporate crisis, issues management and communications expert with a proven track-record of anticipating, responding to and resolving business and personnel-critical challenges around the world for more than a decade. Adam’s current focus is on assisting companies develop organizational resilience across disciplines, capitalizing on his work for a Fortune 500 company with more than 500 locations in 100 countries, where he was responsible for developing, resourcing, deploying and leading the company’s crisis management and security capability. He led crisis response between 2004-15 through a series of life-threatening and business survival situations. As part of crisis mitigation, he initiated and created the company’s first professional security capability and global network, integrating it with crisis response and crisis communications. As a founder-member of the Enterprise Risk Management (ERM) program, he assumed ‘ownership’ for a number of risks, including terrorism, crime and major incidents (industrial, natural disasters and travel-related). As part of mitigating these risks, he developed and delivered crisis training content, scenarios (based on ERM output) and defined and led a regular cycle of top-level crisis and issues workshops and training globally. His career includes experience as a journalist and news editor, senior crisis and issues management consultant for a global public relations firm, and head of corporate communications for international companies in chemicals and engineering. He is a member of both the Chartered Institute of Public Relations (MICIPR) and the Institute of Corporate Responsibility and Sustainability (MICRS) and is a PECB Certified ISO37001 (Anti-Bribery Management System) Lead Auditor. Ron Popper, ‘CrisisManagement’ senior consultant, is a former journalist, corporate communications executive and Head of Corporate Responsibility with 15 years’ experience managing different types of crisis within a multinational corporation. As a founder-member of a Fortune 500 company’s Group Crisis Task Force, he was involved in handling serious incidents, including kidnappings, shootings, fires at plants, and epidemics. Ron was also responsible for handling sensitive countries and projects, which often involved negotiations and mediation efforts with different stakeholders, including governmental and non-governmental organizations, in different parts of the world. Ron gained huge experience of crisis, kidnap, diplomatic and psychological issues when, almost single-handed, he managed a two-year hostage crisis in North Africa. During this time, he was responsible for maintaining contact with the hostage whenever possible, working with governments and other actors in attempting to negotiate a release, liaison with the hostage’s family, and leading corporate reaction to the media. After the successful conclusion of the crisis, his efforts were recognized by the company and media. Having spent more than 20 years as a newspaper and radio journalist working in different countries, Ron is also well versed in crisis communications, and has taken part in crisis training for international companies. For several years he also jointly led global training programs to build capacity among colleagues on communications and respect for human rights. Lars Wistedt, CrisisManagement senior consultant, advises clients on crisis and security management, business continuity and has a special knowledge and deep experience of operating in challenging businesses and security environments. Lars returned home to Sweden in 2018, following 10 years as head of security in the Asia, Middle East and Africa (AMEA) region of a $40 billion turnover international engineering company. Prior to this he had extensive international military experience in the Swedish Armed Forces, including senior roles in intelligence, disaster relief and security. He was deployed on operations in Nordic countries, Germany and Central Africa to the Balkans and Afghanistan. 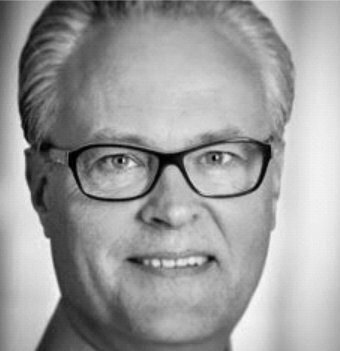 Lars has a strong reputation for delivering solutions that support business growth and resilience through proactive risk identification and management with a focus on maintaining business continuity. During his time living and working in the AMEA region, he developed and deployed a regional risk assessment and security strategy and was responsible for incident response, crisis management and business continuity for hundreds of factories, offices and project sites and around 30,000 employees and expatriates and their families. Lars is a Swedish national and is fluent in English, German and French and has a good knowledge of Norwegian and Danish. Martin Richards, Crisis Management senior consultant, specialises on working with public sector and business clients on crisis preparation, training, exercises, crisis plan preparation and assisting clients manage live crisis situations, including kidnap. Martin spent 30 years in the UK Metropolitan Police with command responsibility over a series of high-profile major incidents, management of leadership development, national police powers and policy and concluded as UK director of strategic police firearms training. Earlier in his career, he was a leader within the firearms unit and was for 14 years an international hostage and crisis negotiator coordinator being deployed to negotiate the release of UK citizens throughout the globe including, Afghanistan, Africa, Iraq, and Israel. He was an advisor to UK ambassadors and the Foreign and Commonwealth Office (foreign ministry) on international crisis management. He achieved the rank of chief superintendent before joining Control Risks in 2011 where, for five years, managed hostage negotiation and release incidents and led more than 200 training programmes in over 40 countries. At Control Risks, he designed and implemented nine new training courses, ranging from e-learning to immersive exercises, covering kidnap management, piracy, siege management, terrorism, hostage survival, kidnap prevention, negotiation, family liaison and victim communications. He joined Bloomberg LP in Hong Kong as regional security director for the company’s operations in Africa, the Middle East and the Asia-Pacific region. Here he developed and refined travel safety, security and crisis management arrangements that contributed to improved business resilience and continuity. This proved successful in managing public demonstrations and disorder, major flood and terrorism related incidents.